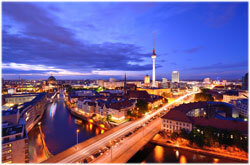 Qualified, experienced and professional German translators to meet your exact requirements. When J.F.K. said he was a ‘Berliner’, some accused him of claiming to be a jelly doughnut. Whilst it’s a nice story, and indeed there is confection made in Berlin called a Berliner, within the context in which he spoke, he was bang on the money. German is a very precise language and it just goes to show how important it is to get it right. That’s why our team of German translators and interpreters are drawn from some of the most highly qualified and experienced translators and interpreters around. As with all our language professionals, they only translate into their mother tongue. With our German translation services you can be assured that you’ll never be accused of making language ‘gaffes’. Many agencies brag about awards they’ve won and accreditations they’ve achieved but we’ll simply state that we were the first UK company to be awarded the British Standard for Translation Service Quality back in 2007 and we’ve passed the annual audit to retain it with flying colours every year since. We also have ISO 9001. It’s not about us; it’s about us going the extra mile to ensure you get the very best German translation on the market today – bar none. Why choose us for your German translation? German is one of our core languages. Since 2003 we’ve translated millions of words between English and German and provided interpreters for major companies such as BMW, Aon Risk Solutions and George P. Johnson as well as smaller companies and charities such as the Chelsea Children’s Hospital School. Firstly, we ensure that all our German translators and interpreters are fully qualified, have at least 5 years’ relevant commercial experience, and are a member of a recognised professional body. In other words, they are full-time German language professionals who take their job seriously, not someone just earning extra ‘pocket money’ on the side. Unfortunately this happens more than you may imagine in our industry. We filter out ‘wannabes’ and pretenders through our rigorous selection process and by following-up references. Secondly we make sure we match the skills you need to those of our chosen professional. So, for example, if you need a marketing expert, we’ll find you a German translator with marketing expertise. Similarly, if it’s a technical assignment, then we’ll provide you with a technical expert. We live in an uncertain world and doing business can be risky, but there’s no risk with London Translations. We back all our work with our 100% satisfaction money back guarantee. 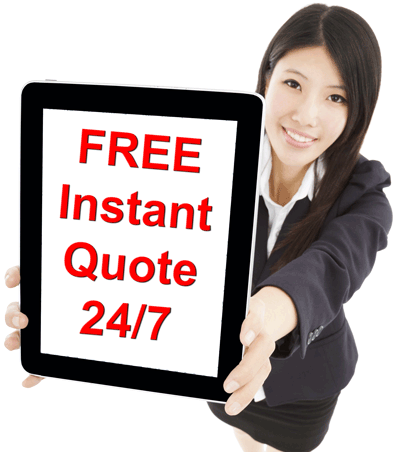 We’re also insured up to ten million pounds for your complete protection. We believe the fact that we’ve had the policy for over a decade and never had to use it speaks volumes. It’s not what we say that matters, it’s what our customers say that counts. We’ve served over 20,000 clients since 2003, many of whom have written in to express their thanks. From household names to small companies and charities, you can see what they say on our testimonials page. German is the EU’s single most widely spoken language, with more than 100 million native speakers in the central European countries where it holds official status. These include Germany, Austria and Liechtenstein, but also a handful of places with more than one official language – Luxembourg, Belgium and Switzerland, for example. However, while there is such a thing as standard German, the tongue has always been a fragmented one – even in Germany itself, there are dozens of regional dialects that vary wildly from one another, and also from Swiss and Austrian variants of the language. As a result, not all German speakers think of themselves as mutually intelligible – an important point to remember when using the language for business! Nonetheless, the standard form of German is understood by millions across Europe today – not least because of the language’s historic status at the centre of politics, culture and commerce on the continent. It was the official vernacular of the Habsburg Empire until its dissolution with the end of World War I.
German also has some grammar, syntax and vocabulary in common with Dutch, Yiddish, Afrikaans and Luxembourgish, so speakers of these languages are at an advantage when it comes to learning the tongue. English has borrowed dozens of words from German over the centuries, including schadenfreude, zeitgeist, hinterland, kindergarten, waltz and wanderlust. By the same token, modern German is rife with words culled from English – a phenomenon dubbed Denglisch by many native speakers. Some notable examples include das Handy, which means mobile phone, as well as das Alcopop and der Babysitter. Unlike English, German retains both formal and informal personal pronouns. When speaking with deference, you use Sie, whereas in conversations with family, children and close friends, du is more appropriate. German allows for frequent neologisms, which often results in extremely long and winding words as writers add existing terms together to create new ones. According to the Guinness Book of World Records, the longest in everyday use is Rechtsschutzversicherungsgesellschaften – ‘insurance companies that provide legal protection’. German is an official language of the European Union and, as mentioned above, widely spoken across the continent. It has official status as a minority language in a long list of countries, including Poland, the Czech Republic and Hungary.